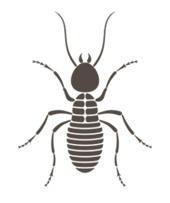 BUG Termite & Pest Control Co. offers comprehensive pest solutions in the Venice, FL area. Welcome to BUG Termite & Pest Control Co. Since 1965 Bug Termite & Pest Control has served southwest Florida as a family owned and operated business. We pride ourselves ourselves on knowing the local and invasive pests. Due to our in depth knowledge of the area we are able to offer comprehensive pest solutions to a wide range of pest problems. We provide both residential and commercial customers with strategic and effective pest control services wether it's your home, your lawn or your business. Protect your home and reclaim your business from destructive pests. BUG Termite & Pest Control Co. offers comprehensive pest solutions to a wide range of pest problems in the Venice, FL area. Since 1965, we have been providing residential and commercial customers with strategic and effective pest control services. No matter what type of pest infestation you have, we have the skills, expertise, equipment and quality productsto provide a personalized and comprehensive solution to your pest needs. BUG properly removes and prevents future infestations in your home or business by offering individually customized programs and services that exactly fit your needs and expectations. From lawns to buildings, from ants to termites, our technicians have the skills and expertise to pinpoint the problem and offer the best solution with the latest technology in the industry. Our goal is to help you enjoy and maintain a quality Florida lifestyle.